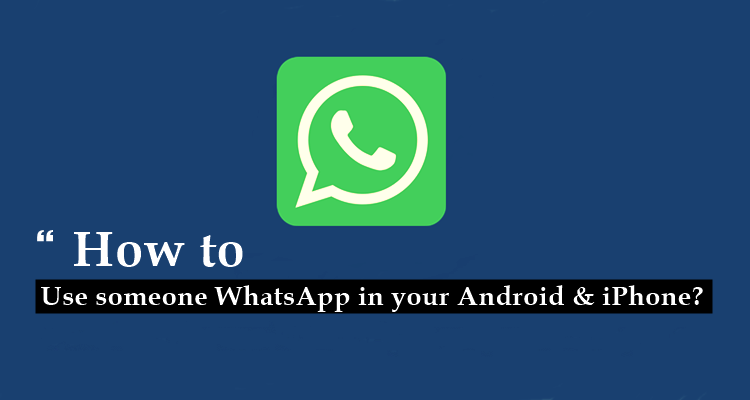 How to use someone WhatsApp in your Android & iPhone? Imagine having access to your friends WhatsApp accounts sounds illegal huh? but you can do it by legit way by simply installing an application called Whatscan. It is available for both the Android and iOS. First you need to install that Application on your device. After installing that Application you will be asked to scan the code from your phone. So if you have physical access to your victim phone you would be able to scan the code. How to scan WhatsApp code in Android and iPhone? Open whatscan on your device. Scan the QR Code on your device you you have installed whatscan application. Whatscan is the best and a easy App to open WhatsApp WEB in your Mobile without Desktop. You need only to scan the QR Code on Whatscan screen from your phone. Why I need Whatscan ? – To open more than One WhatsApp Account in the same Phone. – On Android: in the Chats screen > Menu > WhatsApp Web. – On Nokia S60 and Windows Phone: go to Menu > WhatsApp Web. – On iPhone: go to Settings > WhatsApp Web. – On BlackBerry: go to Chats > Menu > WhatsApp Web. – On BlackBerry 10: Swipe down from top of the screen > WhatsApp Web. – On Nokia S40: Swipe up from bottom of screen > WhatsApp Web.